Are you prepared for changing customer expectations? The business environment continues to rapidly evolve – disruption is quickly becoming the new normal. But it’s not just the environment that’s changing – it’s also customers themselves. 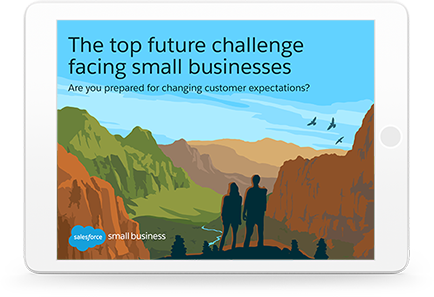 Nearly half (47%) of SMBs rank changing customer expectations in their top three business threats in five years’ time, making it their top perceived future challenge. Download our ebook to turn this challenge into an opportunity.